I didn’t actually notice at first, but over time – while working on a case manager solution, the speed of my deployments slowly decreased finally taking up to 10 minutes. It eventually turned out it had to do with a huge (and growing amount) of log files in the <WASProfile>\ICM folder that was clogging the process. So, the tip of today: If you’re having slow deployments as well? Stop your WAS-server, and empty the folder! 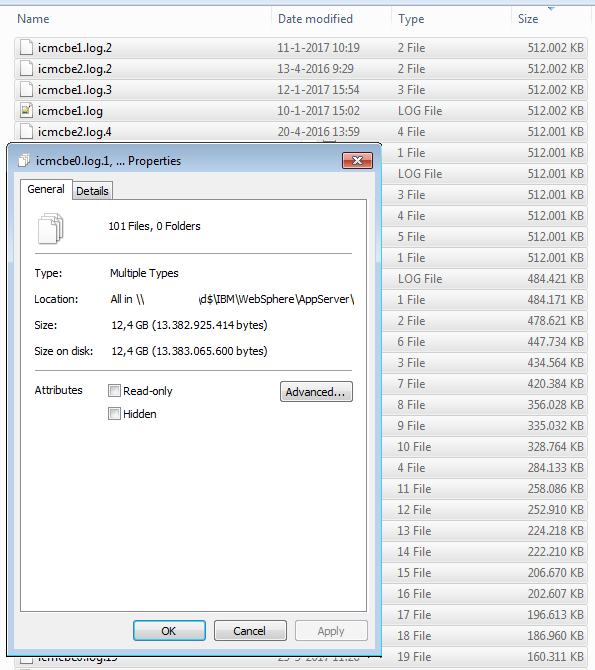 The ICM folder at one of my clients, containing a huge amount of logs.